R.I.P. 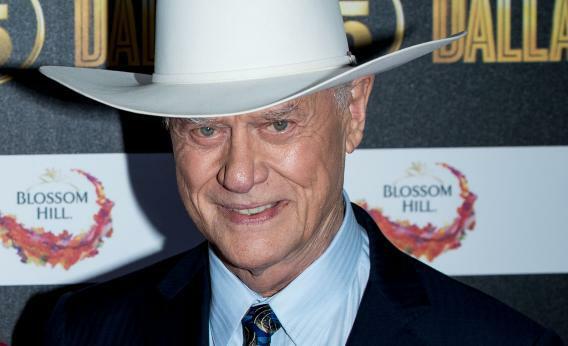 J.R. Ewing, played by Larry Hagman. (Parts of the following obituary were first erroneously published on March 21, 1980). No face is more symbolic of Reagan-era Corporate America than J.R. Ewing’s. The former Ewing Oil boss, who passed away on Friday in Dallas at 77, embodied the anti-regulatory fervor and cutthroat financial ambitions of the 1980s. After an attempt on his life - and two dark decades following the Texas oil bust - Ewing’s legacy was revived by, and lives on in, the country’s current shale boom. Ewing dropped out of sight in 1991. But the twisted governance, ruthless business tactics and even many of the technological insights that Ewing and his family pioneered now characterize the resurgence in U.S. production of both oil and natural gas. This relatively cheap fuel has in turn has helped drive an industrial renaissance in America, turning Ewing and contemporary wildcatters into iconic heroes of capitalism. Ewing’s successors in the energy patch have even emulated his penchant for mixing personal and business affairs, as well as his distaste of government intervention. These tendencies collided when, in an effort to circumvent increased regulation by the Texas Commissioner of the Office of Land Management - who turned out to be longtime family rival, Cliff Barnes - Ewing invested heavily in Asian offshore oil leases. He even mortgaged the family’s opulent Southfork Ranch to raise the needed capital. The moved briefly made the Ewings billionaires. But turmoil in the region led to the leases being nationalized. With Ewing teetering on bankruptcy, patriarch Jock Ewing, who founded the firm in 1930, fired J.R. He replaced him with younger son Bobby, a move that created tension inside the family. J.R. returned as president in 1980 after Bobby resigned amid a row with Ewing Senior over his plans to use company funds to build a fishing resort on the Louisiana border. Public company successors like Chesapeake Energy’s freewheeling chief Aubrey McClendon have shown a similar willingness to mix personal and business, selling his antique map collection to his company for $12 million. Others, like SandRidge Energy’s Tom Ward, have drawn fire for inflated salaries and extensive use of corporate jets. Still, the past decade has been good for Ewing and his ilk. The discovery of vast oil and gas reserves, now accessible through new technological means, has presented the United States with a realistic prospect of energy self-sufficiency. The production boom has rejuvenated Ewing Oil’s prospects. Ewing is survived by John Ross Ewing III, a founding executive at an alternative energy group based in Dallas.